Tory peer and former MP for Sleaford and North Hykeham Douglas Hogg has spoken out in Parliament why he would - reluctantly - support Prime Minister Theresa May’s proposed Brexit deal. The House of Lords was discussing the Brexit Withdrawal Agreement and Political Declaration yesterday afternoon (Wednesday) following on from the Prime Minister’s shock defeats in the House of Commons which found the Government in ‘contempt of parliament’ over its reluctance to reveal legal advice on the Brexit deal. Mr Hogg, known as Viscount Hailsham in the House of Lords, told fellow peers that he would support the deal negotiated by the Prime Minister, “with great reluctance and very considerable reservations”. He said: “I am wholly opposed to the policy of Brexit. I believe that Brexit will damage Britain in many important respects. The dire economic consequences were highlighted in the recent Treasury and Bank of England assessments. If this were the moment to do so, I would vote to stop Brexit, either through a decision of Parliament or a further referendum — or more probably both. If that were not possible, I would support the softest version of Brexit available. “But now is not the moment for that. He went on: “I know that many of my remainer friends will oppose the deal on the basis that out of rejection comes chaos, out of chaos comes opportunity and out of opportunity will come salvation. Their optimism has been much encouraged by the advice given by the Advocate General to the European Court and by the procedural amendment tabled by Mr Dominic Grieve and passed by the House of Commons yesterday (Tuesday). Both of these developments are much to be welcomed, but I am not yet sufficiently persuaded to take the risk of rejecting the Prime Minister’s deal. “I acknowledge that out of rejection chaos will ensue, and that out of chaos opportunities will emerge — but of salvation I am not confident. A disaster seems equally probable. I fear that, by inadvertence, error, misjudgments, lack of leadership, or an inability to assemble a cross-party consensus, we could crash out of the EU without a deal. That would be a calamity and it is a risk that I am not willing to run. It is on that narrow — and I admit very fragile — basis that I support the deal. “However, if the deal fails, as seems very probable, I shall support whatever measures seem most likely to keep us in the European Union on existing terms — most especially through a further referendum, following the early withdrawal of the Article 50 notification which, as a result of the Grieve amendment, the House of Commons could and should direct. If such a referendum is not available I shall support the softest possible version of Brexit. ○ Meanwhile, current Sleaford MP Dr Caroline Johnson was on the losing side three times when voting with the Government on Tuesday not to allow amendments to the EU Withdrawal Agreement - a majority of MPs voted in favour of passing amendments. She also voted against finding Ministers in contempt for their failure to publish the final and full legal advice concerning the EU Withdrawal Agreement, and against ordering its immediate publication - this vote was won by rebels and opposition members forcing the Government, to reveal its advice - something very rare. 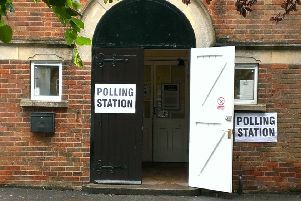 She also voted with the government when it instead asked to refer to the Committee of Privileges the question of whether the Government’s response fulfilled the motion passed on November 13, to publish the final and full legal advice provided by the Attorney General to the Cabinet concerning the EU Withdrawal Agreement and the framework for the future relationship, but this was voted down by a majority against the referral.